RAPID CITY, S.D. 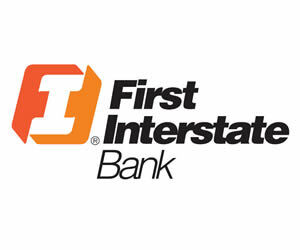 - First Interstate Bank is helping local families in need of affordable housing by supplying both volunteer labor and $5,000 to Black Hills Area Habitat for Humanity. As part of the First Interstate Bank’s 50th anniversary, First Interstate Bank employees from Rapid City, Custer, Hot Springs, Edgemont and Hill City will work at the 613 Lemmon Ave. Habitat build site on October 8; kicking off the build day is a check presentation at 9:00 a.m. According to a report released in June of 2018 by the Black Hills Knowledge Network, there is an estimated shortage of nearly 3,500 owner-occupied housing units costing $899 or less per month (Black Hills Knowledge Network, 2018). A partnership between First Interstate Bank and Black Hills Area Habitat for Humanity helps bridge that shortage. Over the last 25 years, the First Interstate BancSystem Foundation has contributed $20 million dollars and over 132,000 volunteer hours to charitable organizations and causes that improve and maintain the quality of life in local communities. Since January, five Black Hills families have purchased Habitat homes and an additional twelve families have been helped with home repairs through Habitat’s Home Repair program.